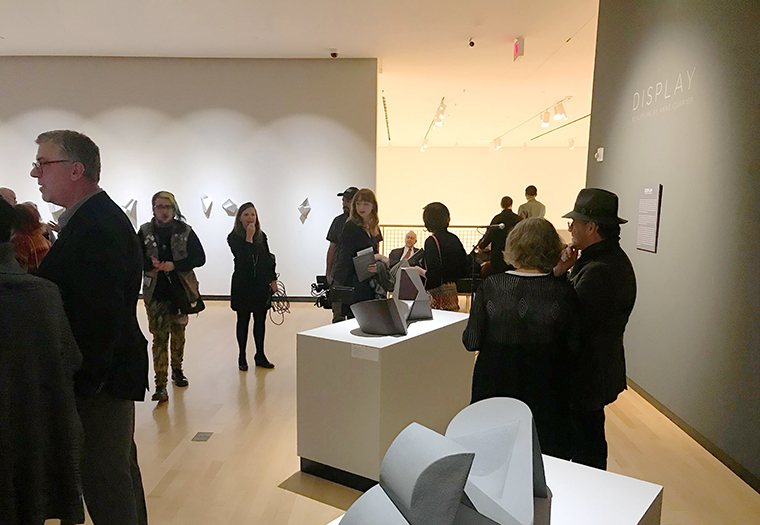 Display: Sculpture by Anne Currier is a solo-exhibition at the Burchfield Penney Art Center currently on view until April 28, 2019. 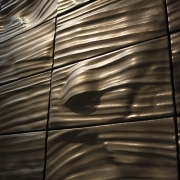 The series of work created for Display combines sculpture crafted by hand and forms fabricated through architectural manufacturing techniques. 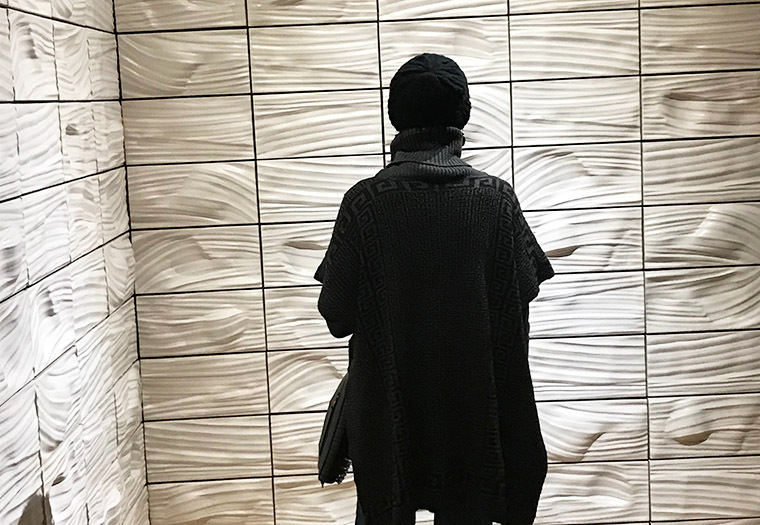 The central piece of this show, Continuum, highlights the collaboration of artist (Anne Currier) and manufacturer (Boston Valley Terra Cotta) with a large set of temporary wall structures displaying terra cotta tiles. Based on molds of Currier’s original designs, Boston Valley was able to lend their manufacturing, production and finishing expertise to produce the multiple sets of the 8 different tiles. 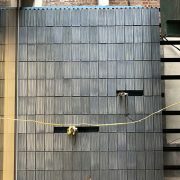 Featuring two different glazes, the tiles were strategically composed by Currier & installed on-site to create these unique terra cotta wall sculptures. Audience member viewing Continuum by Anne Currier and Boston Valley Terra Cotta at the show’s opening. Boston Valley works with ceramic artists to further innovate and challenge the architectural terra cotta manufacturing industry. This collaborative approach has produced some outstanding projects and has created relationships benefitting both the artist and manufacturer. 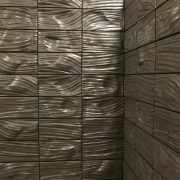 Previous collaborations between Boston Valley and Anne Currier have included the Miller Theatre tile wall at Alfred University, Boston Valley Terra Cotta’s own corporate office conference room, and the recently completed wall at 688 Broadway, 1 Great Jones Alley in NYC. Anne Currier at the Burchfield Penney from Burchfield Penney Art Center on Vimeo.